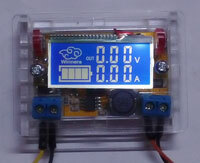 You can make this Solar Power supply as your work bench power supply for testing prototypes. It delivers variable voltage from 1.5 volt to 12 volts with a current up to 300 milli amperes. It can also be used to charge batteries during day time. 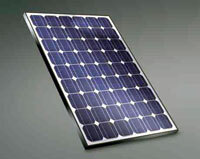 By using the Pot, it is easy to set the output volt from 1.5 to 12 Volts. You can make a simple Variable Power Supply unit with two Transistors and a Pot. Two high power complementary transistors are used in the circuit to handle high current. Just provide 14 volt DC to the input and adjust a Pot to get 1 to 12 volt DC from the output. It is useful to power circuits while testing.